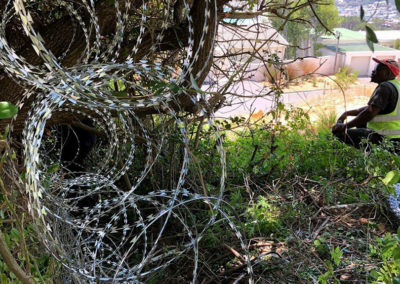 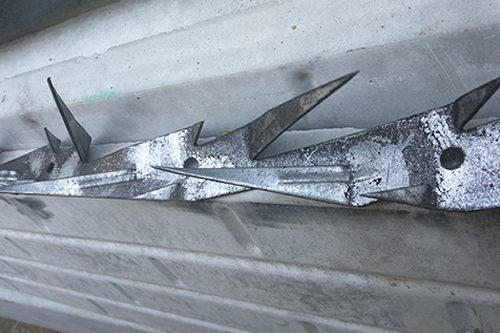 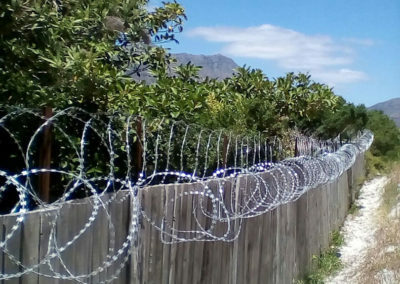 Razor Wire and Wall Spikes have sharp points, made to rip and grab onto clothing and flesh, and have a strong psychological deterrent effect on would-be intruders. 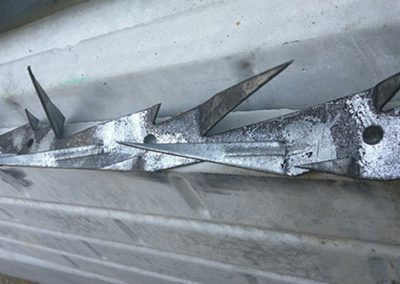 Breaching Razor Wire in particular, without tools is very slow and difficult, giving security companies time to respond. 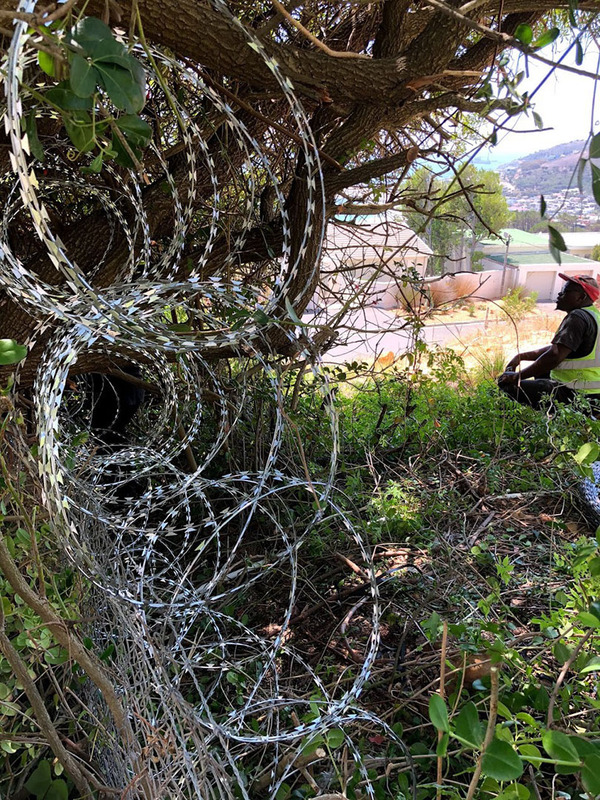 Razor wire often contains a core under tension, so if cut, the recoil could cause the wire to unfurl and lash out, striking the cutter. Eco Fence Cape also have a variety of galvanised spikes that can be installed on the top of Vibracrete panels and existing brick walls to deter intruders. 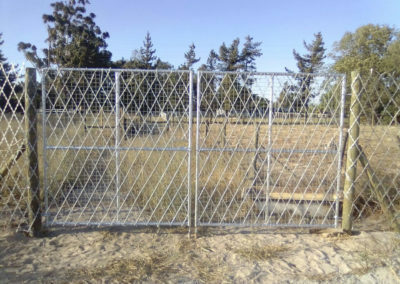 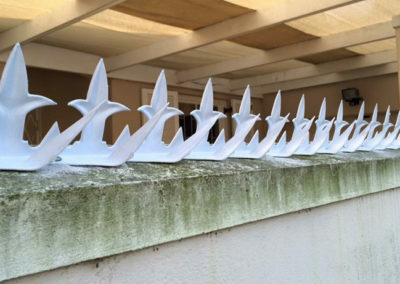 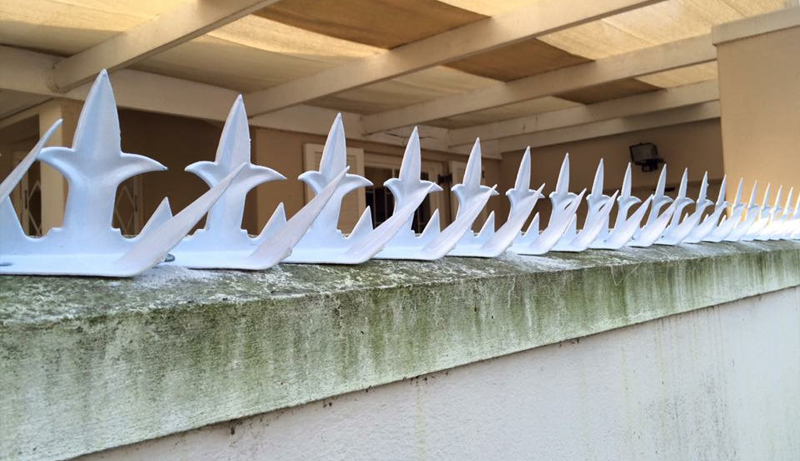 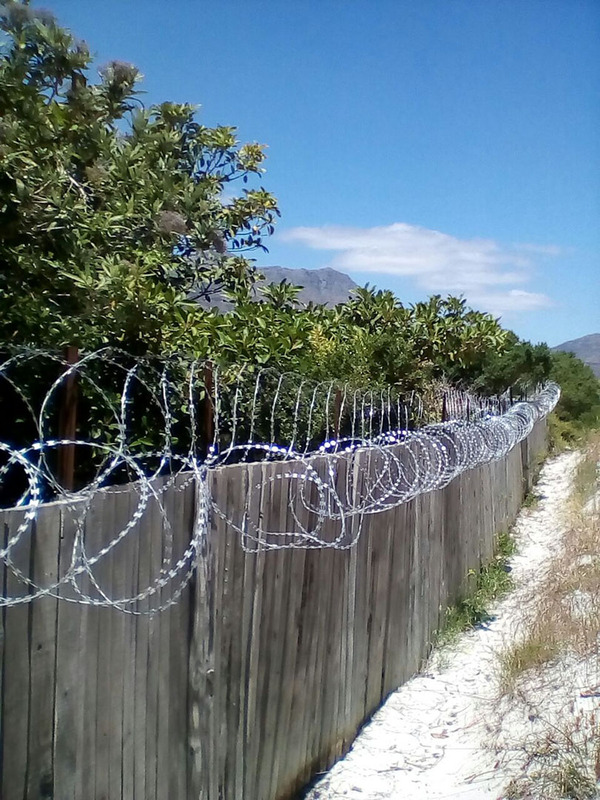 DO YOU NEED WALL SPIKES OR RAZOR WIRE INSTALLED IN CAPE TOWN?